Can YOU iMAGine an APP that HELPS you HEAR the RHYTHm of TEXT? Welcome to the Prosody Training App! 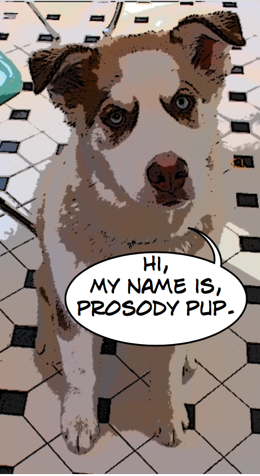 Prosody refers to the melody of language. English has a rhythm, similar to how music has a beat. This prosody training app has been designed to help you hear the beat of English. This site contains educational materials using a wide range of reading levels. The prosody training app is suitable for ages 18 and up.